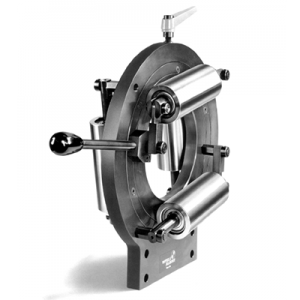 This high quality and robust design is suited for material diameters from nearly 0mm to 250mm OD in five different sizes and on a custom basis larger units can be supplied. The ZR is most commonly used in cable applications but also can be used for tubing, wire and other materials with consideration given for size and roll materials. The ZR model is by far the most popular and versatile model cable guide in our line with its adaptability, as its modular design allows multiple configurations even after initial purchase. It is built in the German tradition of high quality and readily available with attractive pricing. 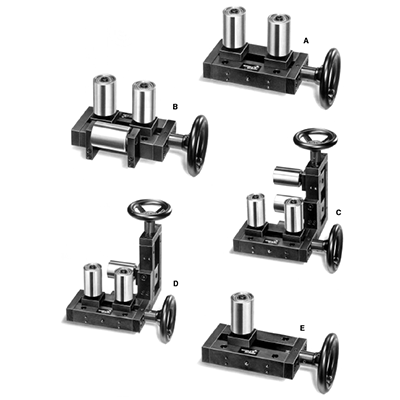 This guide suits a wide variety of applications and is available in A, B, C, D and F roll combinations with an easily added connection bracket. 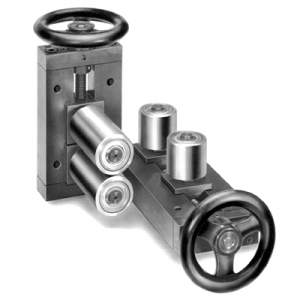 This high quality and robust design is suited for material diameters from nearly 0mm to 250mm OD in five different sizes and on a custom basis larger units can be supplied. 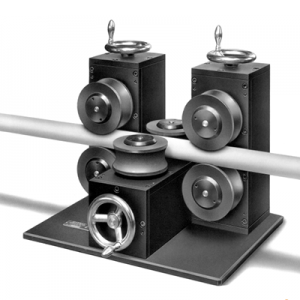 The ZR is most commonly used in cable applications but also can be used for tubing, wire and other materials with consideration given for size and roll materials. We use the highest quality roller bearings and chrome plated roll sleeves as standard. We offer a number of other roll type possibilities for specific applications to tailor to unique demands including sleeves in different materials like stainless steel, PET plastic and hardened steel. There are many options available. 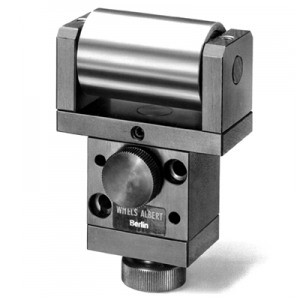 One of the more valued are the digital roller position indicators which substantially reduce set up time; springs to allow larger material sections to pass as well as pneumatic adjustment.